3M, a world leader in safety and protective equipment, is proud to have the Peltor™ brand range as part of its product offering. Peltor™-branded communication equipment and hearing, protection products are renowned worldwide. With more than 50 years of experience, the Peltor™ brand promises superior quality communication solutions that provide solutions combine comfort with protection. We strive to satisfy your needs through the provision of exceptional leadership, expertise, quality and service excellence. With our global technology, manufacturing and knowledge network, we do more than simply develop products that help your workforce to operate in safety and comfort. The advanced engineering and technology inherent the 3M Peltor™ brand fits with the high standard of quality and innovation of a continuously evolving range of product solutions that you, our customers, have come to expect from 3M. Our mission is to help protect people at work, at home, for life. We believe that health and safety is the priority in any working environment, and that greater comfort can help to improve worker protection, resulting in enhanced productivity and safety compliance. To deliver on our commitment requires a culture of accountability, customer inspired innovation, knowledge and expertise, fuelled by a deep understanding of our customer needs. 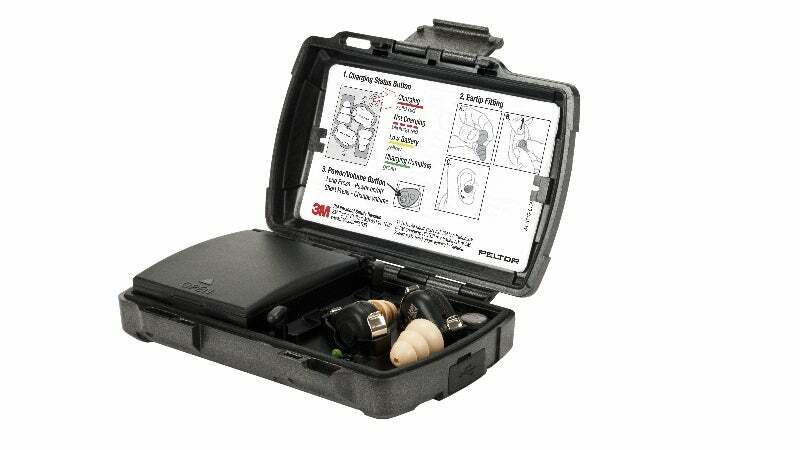 The 3M Peltor™ brand offers a comprehensive portfolio of hearing protectors paired with communication systems. 3M works closely with distributors, safety professionals and companies to help employers protect their personnel who are exposed to hazardous environments. With offices around the world, 3M can help our customers succeed everywhere. Clear and reliable communications are critical to success in most military operations. To be able to communicate whilst at the same time being protected from harmful noise levels is vital, both for exercises and actual combat situations. At the same time, communication is of prime importance orders and information must be heard and understood, both via radio and directly person to person. 3M provide the appropriate equipment regardless your mission. For integrated protection and communication, 3M can provide solutions for both hearing protection and communications to the army, navy, and air force. The 3M™ Peltor™ ComTac XPI is designed to help reduce exposure to hazardous levels of noise, improve situational awareness and at the same time enable two-way radio communication in noisy environments. 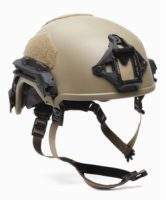 The product is made for working together with other military gear like helmet, protective west etc. The new 3M™ Defender™ Ultra Light Weight Ballistic Bump Helmet (ULW-BBH) is manufactured by Ceradyne, a 3M company, using advanced materials and providing multi-use ballistic protection at 30% less weight than the closest alternative. 3M™ Peltor™ PTT-adapters in the new FL4000-series are an alternative to the current PTT-adapters in the FL5000-series for connecting 3M™ Peltor™ headsets to communication radios. The products in the FL4000-series have a smaller size than FL5000 with a rugged design and the PTT-button has a more distinct push feeling. FL4000 also has jack detection that give you the sound in the radio when you unjack the headset if the radio support this. The 3M™ Peltor™ LiteCom is a high-performance hearing protector with a built-in communication radio for cable free short-range communication with other LiteCom headsets and portable two-way radios programmed on the same frequency. Microphones with leveldependent function for ambient listening increases your safety because you can hear your surroundings, e.g. 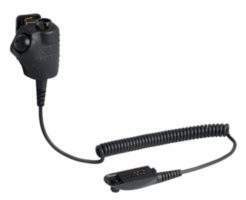 warning signals.An external audio input allows you to connect to an external phone or portable two-way radio, regardless of frequency. The noise cancelling speech microphone with VOX functionality enables you to communicate hands free in noisy environments. 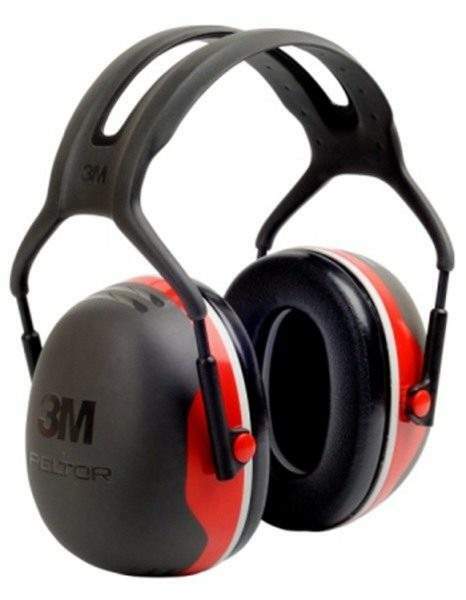 3M™ Peltor™ X Series – A new Standard DESIGN, COMFORT and ATTENUATION TECHNIQUES. 3M developed the new 3M™ Peltor™ X Series ear muffs based on these three pillars. In the addition to simplicity of use and ease of identification the new range ear muffs are now the new reference point in terms of over-the-ear protection. 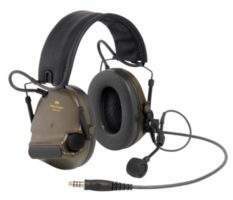 ComTac first generation headset was the result of a project to help prevent hearing damage and at the same time use communication to enhance the efficiency of the soldier’s mission during training and combat. The 3M™ Peltor™ ComTac™ XP is designed to help reduce exposure to hazardous levels of noise, improve situational awareness and at the same time enable two-way radio communication in noisy environments. The Peltor™ WS™ Headset XP features Bluetooth® technology. Peltor FL5000 adapters are tested and approved according to EMC directive 89/336/EEC, which means that they meet the requirements for CE labelling. We strive to set the standard for confidence and trust by providing rugged, reliable protective communication equipment. These gel sealing rings (pair) are compatible with most of the 3M™ PELTOR™ ComTac XPI headset products, featuring a super-thin polyurethane skin with a double-hump top face design and a silicone gel-filled bladder with a foam backing. The 3M™ PELTOR™ CH-5 High-Attenuation Headset is the communication headset with the highest SNR on the market as of October. 3M™ PELTOR™ Communication Solutions is pleased to announce the addition of the 3M™ PELTOR™ Tactical Earplug, TEP-100 EU. 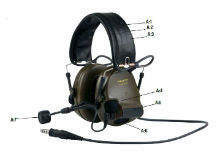 3MTM PELTORTM Communication Solutions has announced several new features for the 3M™ PELTOR™ ComTac XPI Headset.